This story (linked in the video below) first appeared on CNN in May 2012. The New York Times Magazine also published a similar investigation in December 2014. Chinese students are world-class test takers. It costs them all of their time. 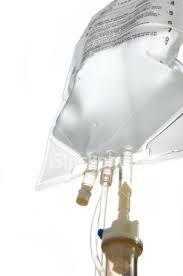 IV or no IV, testing is what they do. But when there is no test for which to cram, outcomes are quite different. No other country even comes close to that number. and then the number drops below ten. China– with a population four times the size of the US– has had nine Nobel laureates. And I will add joie de vivre. The reification of test scores is not only just a problem in our system of education. Scores and keepi scores are supported as values in contests of all kinds that are organized to declare winners and losers and reward the winners, at least in the short run. It is odd that the only correlates between scores on tests taken in school and later-in-life accomplishments– including patents, prizes for literary and artistic scientic work, Nobel prizes, and so on–are tests created by E. Paul Torrence in the 1960s. Successive cohorts of students who scored high on these tests of creative thinking were way ahead on others on later accomplishments, including those who did well on tests of “intelligence. ” Those tests are still available with some bells and whistles added by Torrence’s students, along with continuing research. A decline in the test scores, reported in Newsweek just as the CCSS were rolled out, caused the CCSSO to issue a non-sense press release that they were working on ” hard to test” 21st century skills including creativity, problem solving, global awareness and such. The promoters of the CCSS were really ticked off that the meme of 21st century skills– a list from tech lobbyist Ken Kay with a heavy dose of categories from the literature on personnel management–was gaining traction. Ken Kay twice tried to get federal legislation supporting that meme…in direct competiton to the CCSSO’ push for the Common Core. Upshot, the promoters of the CCSS put Kay in charge of work on the tech aspects of the CCSS agenda, great for his clients and kept him at bay with good pay. The CCSSO also put some money into a cockamamie scheme marketed as new tests for creativity, problem solving, global awareness, etc.. The scheme for test development was little more than a website designed to solicit “world-wide” examples of creativity, problem solving, etc. These submissions were coded, churned through a computer in order to decide which were the best examples. The computer program generated paired comparisons, these randomly selected from the pool of submissions. The methodology was one step up from a popularity contest. The website is called EdSteps. Ken Kay left Washington some time ago. He still markets the meme of 21st century skills but attention to it has been greatly diminished by the CCSS. In any case, the only ” skill sets” that might reasonably be dubbed unique to the 21st century were variant of skills in information technology. I think Kay’s meme and list of words took off, and still hangs around, precisely because there was such a shut down in education for any content and skills other than those strictly “academic” and easy to test. Creativity, collaboration to solve problems, awareness of events happening on a global scale all were legitimate and but marginalized ideas in theory and practice. That was one result from the effort by CEOs to standardize public education, not merely propose “higher” standards. I knew E. Paul Torrence and was a colleague of some his students. The tests are now available through Scholastic, and when marketed, the primary use is screening for gifted/talented programs. They are fun to take, game like, and some are well-known as little exercises disconnected from the source. Example, how many ways can you use a brick? Substitute a term of your choice for brick. Another exercise awards points for drawings that extend out of a box..evidence of a willingness to think out of the box. There are visual and verbal tests. I have no financial interest in the tests. These just keep coming to mind whenever there is talk of creativity and testing, and accomplishments beyond the annual measures of performance on tests designed that seem to be designed and administered in order to inflict pain on students. Thank you, Laura. The content of this one post should be front page news, and hammered into the heads of lawmakers and other officials who support stupid tests. I don’t think there’s any hope for the corporate media who allow the snake-oil lies to flourish. Ultimately, we the people have to make our voices known and not tolerate politicians who don’t read, comprehend or ask questions about what they’re signing into law, or flat out ignore their constituents. I am so glad this site exists and you and others are able and willing to educate us!!! To be fair to China (or all of East Asia for that matter), it’s worth mentioning that there was no Nobel Prize prior to 1901, and if you read Joseph Needham’s “Science and Civilisation in China” (1954 – 2008, Cambridge University Press – 27 volumes to date), China’s golden age lasted for more than 1,500 years where the Chinese produced an average of 15 significant scientific innovations a century for more than fifteen hundred, but that all ended in the 16th century with the Ming Dynasty. For those 1,500 golden years of science and technology, China was the most scientifically advanced and wealthiest country on the planet. Then of course there is the history that most of Asia was savaged by colonization from Western powers starting in the 18th century, the Opium Wars of the 19th century, followed by an invasion of Christian unwanted missionaries, the 1st Sino-Japanese War, World War II, the Korean Conflict, the Vietnam War; in addition to revolutions and civil wars that killed tens of millions of people for the last tw0 centuries culminating in the insanity of Mao’s Cultural Revolution. It wasn’t until the 1980s that China and most of Asia started to rebuild and settle down. China’s love affair with high stakes testing started with the Han Dynasty before the birth of Christ and that was also the beginning of that 1,500 years of innovation. But those high stakes tests were not used to punish teachers or close public schools. Those high stakes tests were used to determine through the merit of the exams who would be hired to do scientific research and rule over the provinces. The current system of testing in China is killing the spirit of creativity, confidence, and innovation in that country. What happened to Lue Xiaobo was exactly what I was warned about from a Chinese friend who was visiting us in the states. She said if I was as outspoken in China as I am at home against my own government, the Chinese government might arrest me, lock me up or kick me out, and never let me in again. China actually does have a black list—a no fly into China list—of foreign nationals who are too critical of the Chinese Communist Party. I’m aware of one Western author who made this list and my wife is friends with another writer who was warned to stop criticizing China in the Western media or face losing her visa to get into China. I think the U.S. has a no fly list too to stop some foreign nationals outside of the US from getting in. In fact, according to Wikipedia, the U.S. had about 1 million names on that no fly list by March of 2009. I wonder how many are on the CCP’s no fly into China list. Yes, Lue Xiaobo was tossed in prison, but I suggest actually reading the actual language in the Chinese Constitution to see which clause sent him to prison. Xiaobo actually broke the law for publicly calling for democracy and an end to the current regime. The Chiense Constitution is taught in China’s schools. They probably get tested on it too. So, right or wrong in our eyes over here on U.S. soil, Xiaobo knew what he was doing could get him sent to prison for treason according to the language in the Chinese Constitution that doesn’t have the seam Bill of Rights we do. I doubt every much if Lue was surprised when he was arrested. Wat is that old saying, When in Rome do as the Romans d? Well, Lue Xiaobo was in China and he was a Chinese citizen. He wasn’t a US citizen living in the US protesting that he wanted to see a regime change in Washington DC. And what would happen to him if we switched countries and he was advocating to replace the US Congress with a board of corporate directors and replace the president with a CEO? I’m not defending China’s brutal testing agenda (three major tests I’m aware of that are used to weed out students and send the losers to vocational schools and the winners on to the next level in higher education). In fact, there is an ongoing debate in China that these tests are too much and that the focus should be on critical thinking and problem solving—-the same things that it is arguable made America great.